This week, I was out of town for most of the weekend, but had today (Monday) off from work because my parents were in town. They did have to move on to my uncle's house a couple hours drive north of me for dinner plans. This gave me time to do some dishes and some cooking. I decided to do 2 main dishes and a snack this week. Let's start with the snack. 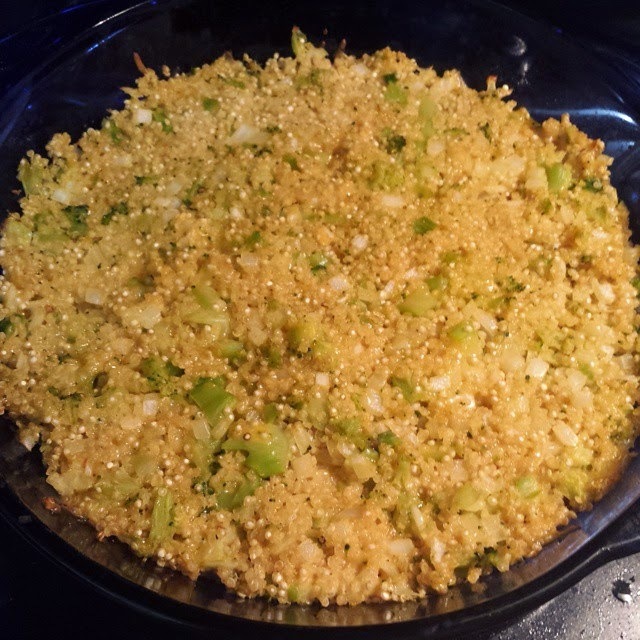 • in a medium sauce pan, combine quinoa and water (or broth) and cook to package directions. let cool. • in a large bowl, combine cooled quinoa, eggs, broccoli, onion, garlic, cheese and paprika. • stir together the first 4 ingredients and spoon evenly into each tortillas and roll up. • arrange in a 9x13 inch baking dish. • bake at 350° for 35-40 minutes or until golden brown. 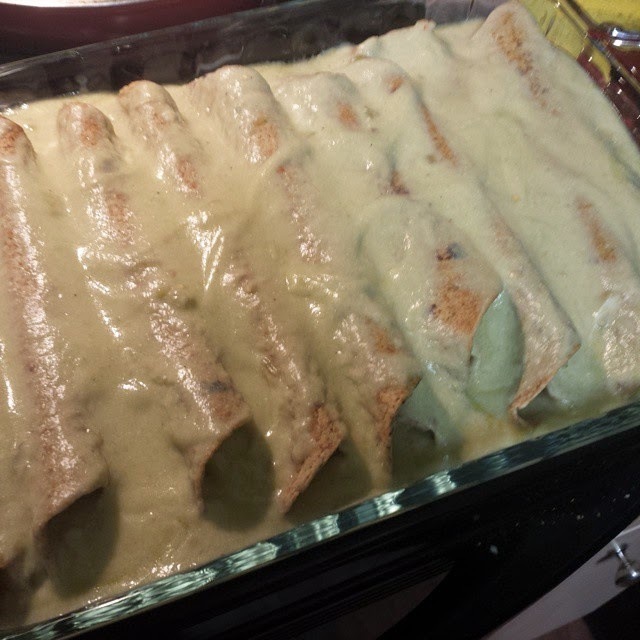 • stir together the enchilada sauce and sour cream for the sauce and pour over the enchiladas in the baking dish. • heat a large skillet over medium-high heat, add the turkey and cook until browned and no longer pink; place into the slow cooker. • add the oil to the skillet and saute the onion, garlic and bell pepper over medium heat for about 4-5 minutes. 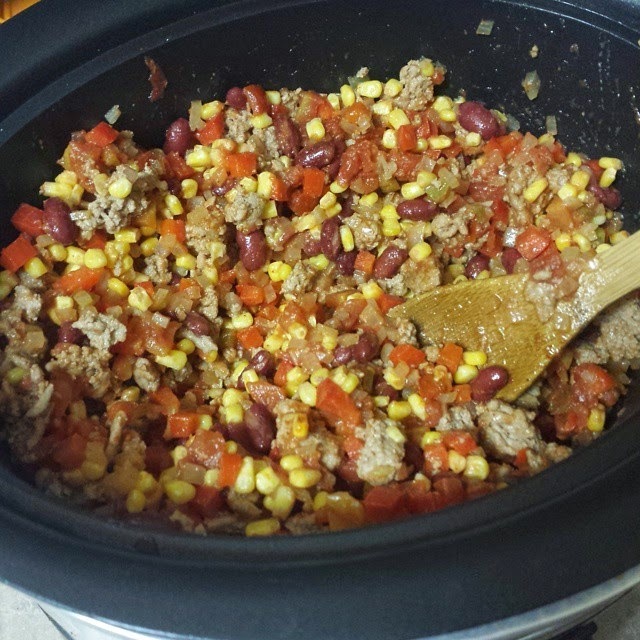 • spoon over turkey into the slow cooker and stir in corn, tomatoes, tomato sauce, and spices and mix until well blended. pour chicken broth into the crockpot. • cover and cook on HIGH for 5 hours or LOW for 7 hours. Hope you had fun with your folks! I really did. It was so awesome to see them!